Okay first of all I might be wrong and may not have represented the case properly. What I am looking for is if there is any point in re-applying or should I just leave it. I have given all the details of my Son who is in UK (Name, Address & Phone No). Although my trip was fully sponsored by my Daughter. 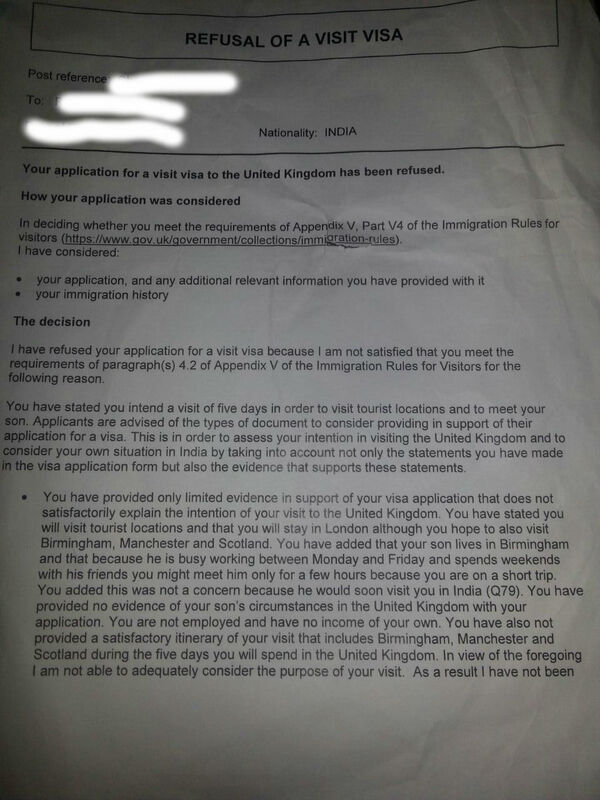 Now is the Visa Officer right in declining this application and stating I have not provided enough information about my Son? Now I understand, he needs other details like his Passport Copy and Visa Info & Pay slips. I felt this is not needed as he is not the one who is sponsoring me, also he recently got the job, still lives with friends and he has no savings at the moment. Why is my Daughter Sponsoring my Visit? We live together and support each other at times of need. Now, why is it too much of issue if my daughter is sponsoring my visit. I have done enough for my daughter while she was studying. Frankly I have no answer to this question. Edit 1 : Okay , let me put this the other way. If I submit the following when I reapply. Do I have a better chance to approval. I know no one can say for sure but yes we talking about the maximum probability. 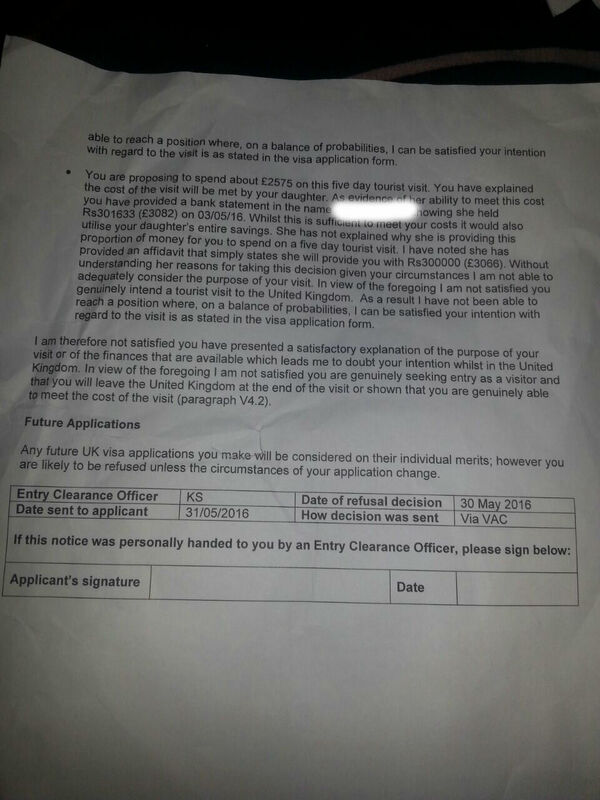 b) Another Affidavit from my Daughter, stating She wants to sponsor my trip because I am very much interested in visiting UK and its the way she want's to give back . c) A Full Itinerary this time covering all small details but no where mentioning I will visit my Son because I feel this is the Issue, the moment I mention, I want to visit my Son. With visa refusals, there is no point re-applying unless you are able to change the part of your application (or its supporting documents) that got you refused in the first place, or else you will face the same result. However it is entirely possible that you can be successful when re-applying if you give the ECO what they want. Write and submit a travel itinerary. It does not have to be super specific, just what you plan to do each day. Give more details about your son, and ask him to write you an invitation/sponsor letter. Mention if he is a British citizen, and if not, under what premise he is residing in the UK. Mention his job/occupation. Read this answer if you want to know more about what he should include in his invitation letter. If someone is financially sponsoring you, they need to write a letter that explains to the ECO why and how they will be doing this, in addition to the bank statements that you have provided, for example, she could mention that you have been eager to visit the UK for quite some time, and that since she supports you financially and wants you to enjoy yourself, she will be providing you with X GBP that she has been saving for a while for this purpose, perhaps have your daughter mention that paying for your trip is her way of giving back to you for all the support you gave her during her studies. Being refused a visa is frustrating and upsetting, but you must understand the fault lies with you, and there are clear and defined things you can change to improve your next application, which can be successful. For point (a): You need to prove that there is something compelling that will make you leave the UK at the end of your visit and return home. To this end, mentioning that you will 'only spend a few hours' with your son probably did not help. Things you can show to prove you will return home include (but are not limited to): family dependents, a job, property/asset ownership. Try and prove these to increase your chances. For point (b): Is related to (a), but not the same, it has more to do with people making multiple visit visa applications within a short persion of time, which would lead the ECO to believe you plan on spending most of your time in the UK. I have no reason why CMaster or the ECO would suspect you of falling under this category unless you've made multiple visits to the UK in the recent past. For point (c): This means that the ECO needs to be satisfied that the reason you are actually coming to the UK for is the same as the reason you say you are coming to the UK. To convince the ECO of this, you will need to give a strong 'main purpose' of your trip, and stick to it in your itinerary. For point (d): As long as you avoid acting suspicious, and maintain consistency in your application, this should be fine. Now keep in mind, the refusal letter does say that any future applications you make will be considered on their individual merits, however I'm fairly certain that there's a possibility they will look at previous applications made and see if you're changing your application falsely simply to get a visa (just a hunch, no proof for this), so be careful not to alter your application in such a way that seems suspicious. Also remember, even if you change everything to what you believe is perfect, it is entirely possible that you will get refused again due to the reason I spoke of in the previous paragraph, or different reasons entirely. It is completely up to you to decide whether is is worth the effort and money to make another application.